Applying projects are demanded to optimise the services required along the renovation process (based on the local needs and actors in place), improve trust and awareness of homeowners, reduce renovation costs and time on-site through repeatable approaches, mainstreaming innovative technical solutions adapted to the local context, help improve their legal and regulatory environment, and overall improve financing conditions for energy renovation. 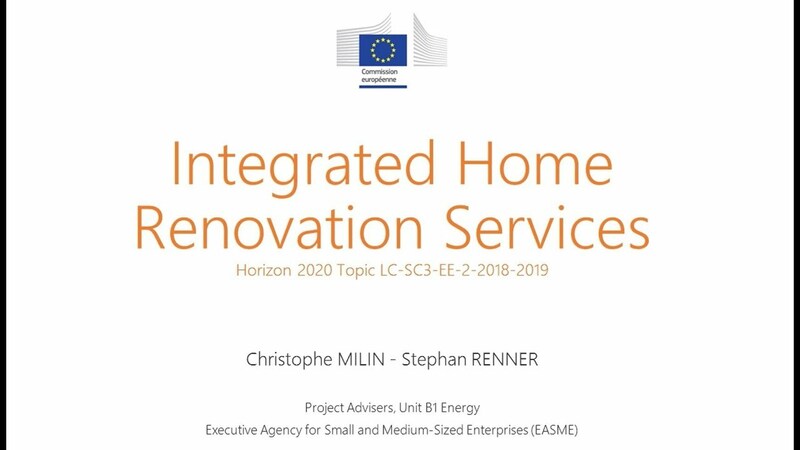 An “Integrated Home Renovation Services” dedicated webinar by EASME (the EU Executive Agency for SMEs) is also available to learn more for detailed features and expectations for this funding. The deadline is 3 September 2019, more information on the Covenant of Mayors website.